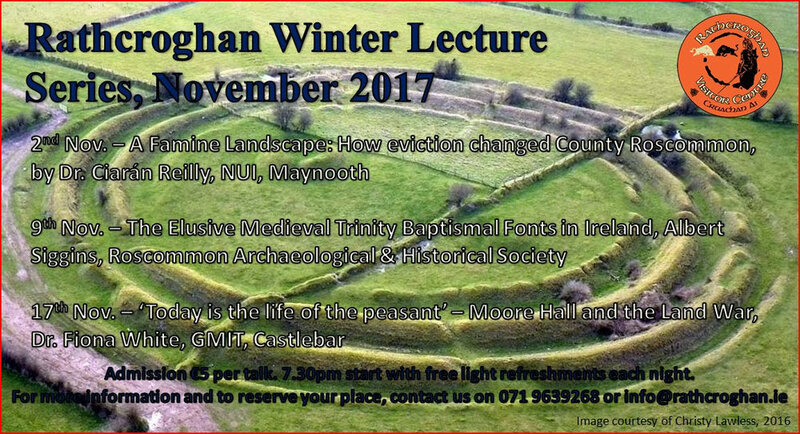 Winter is coming and with that Rathcroghan are delighted to be able to announce their three speakers for the 2017 edition of the Rathcroghan Winter Lecture Series. These fascinating talks will take place on the 2nd, 9th and 17th November at 7.30pm, here at Rathcroghan Visitor Centre. Please reserve your place in advance, as space is limited. Contact: 071 9639268 or info@rathcroghan.ie for more information.